Constraint Induced Movement Therapy (CIMT) and intensive bimanual therapies are treatment techniques used by Occupational Therapists to facilitate functional hand use in affected upper extremities of children with hemiplegia (inability to move one side or difficulty with moving one side of the body). Research shows that treatment frequency and duration often improves functional use of a hemiplegic limb. Through repetition, the brain is amazing in that it can eventually remap motor pathways around the injured area, therefore, improving use. CIMT and intensive bimanual therapies focus around these principles by either strongly encouraging bilateral hand use for all activities or constraining the unaffected limb to promote more frequent use of the affected limb. At Tri-County Therapy these treatment approaches, although intensive, are always fun and play based. Tri-County Therapy encourages children to be a part of creating fun constraints like hand puppets that gently encourage repetitive use of the affected arm through play and other activities of daily life. 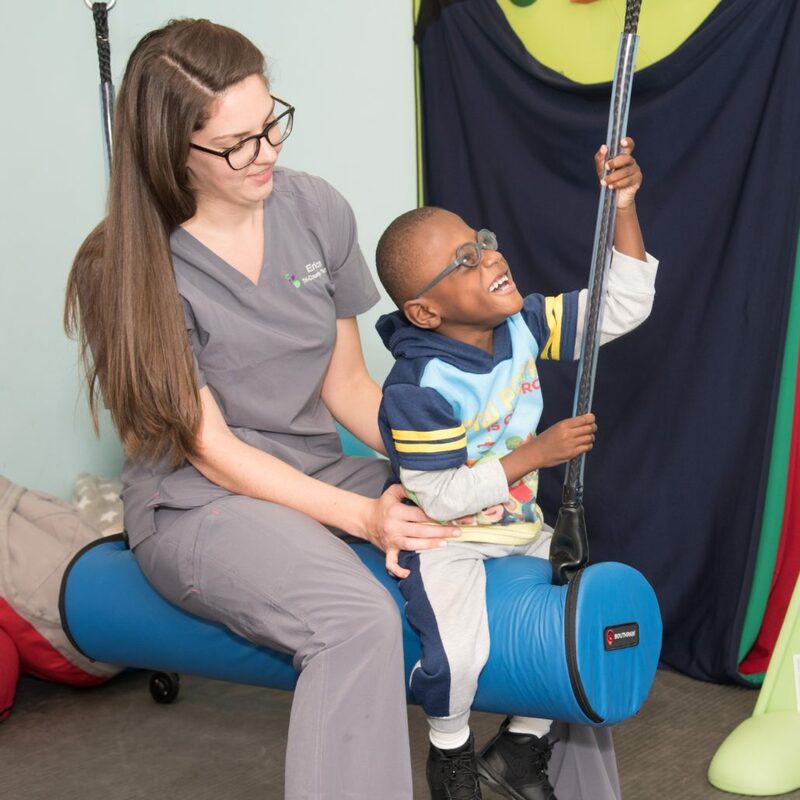 Our Occupational Therapists work to provide home activities and educate parents on how to facilitate their child to use the most natural movement patterns without compensation. Contact us if you would like to learn more about Constraint Induced Movement Therapy!